I remember when I first starting teaching in Detroit, I was a young, spunky teacher who really loved literature, and I desired to make ALL of my students lovers of literature. That school in Detroit did not have many resources, but it did have class sets of Things Fall Apart by Chinua Achebe, and I courageously, with all of my might, taught this novel to high school students. 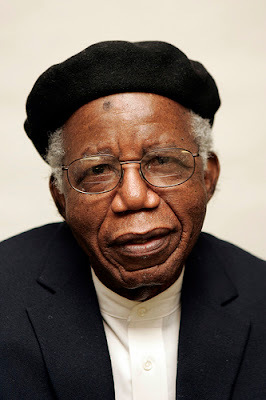 While teaching this novel to students, I fell in love with not just the novel, but I also fell in love with the author of the novel, Chinua Achebe, who had the audacity to write a novel that questioned both my students' and my beliefs. I have had many discussions, read many essays, created a song, given many test all on Things Fall Apart. I am extremely grateful that this man left something behind for the world to enjoy. "The angels in heaven done signed his name." There's an Army Rising Up!!!! "She Was Wrong for That!" Patty is back, and she is Winning!! !